(map) Every Monday, The League serves up a tasty deal: Order one of their half-pound, freshly ground burgers and get the second one free. 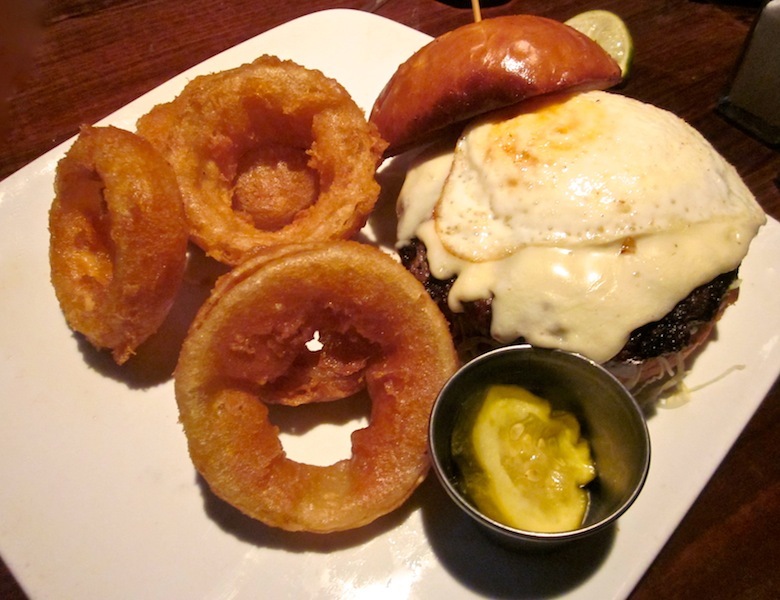 Above, the American Burger, topped with American cheese and then a fried egg. The Southern Burger is topped with bacon, fried onions and barbecue sauce. They’re a deliciously hot mess! Burgers come with your choice of sides, but go early. Lots of hungry diners are getting hip to this deal.